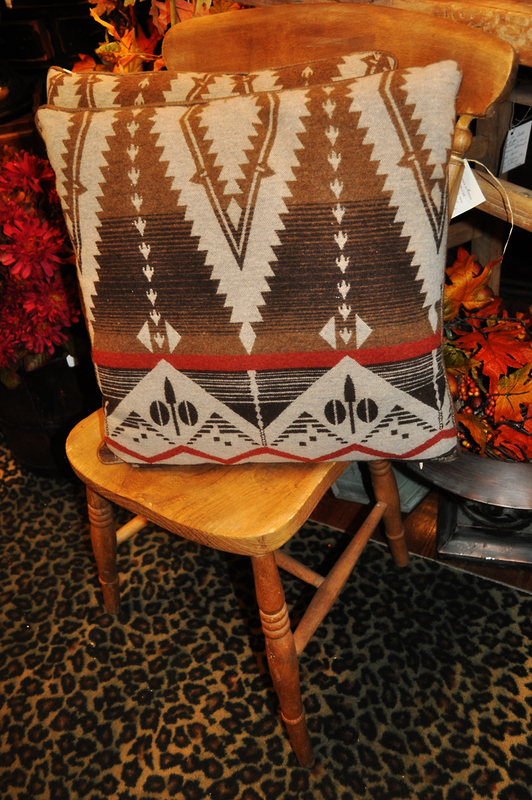 These pillows are a soft chocolate brown and cream Navajo pattern with a touch of burnt red. They have a leather-like piping around the edge a perfect size for a bed, chair or sofa. Great for winter and fall they are only $28.95 each a great buy.